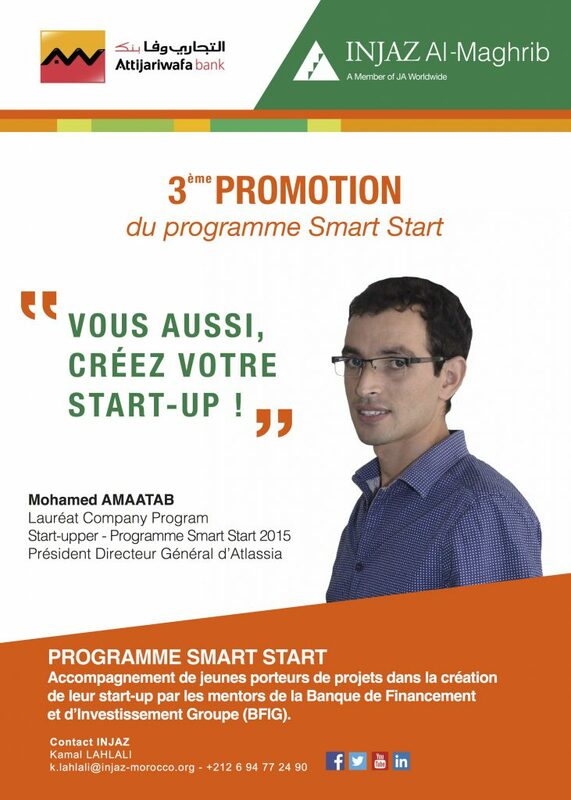 The SMART START’s program aims to deepen the knowledge of students on their understanding of what must be achieved before a business creation. In other words, students will have to take a step back and think carefully and methodically about their idea and consider how to make their project viable and sustainable. Students are completely immersed in a process of long-term reflection on their choice of product or service, its niche, its scalability, etc. The program lasts for 6 months and consists of 2-hours weekly meetings. The program is based on mentoring. Groups are encouraged to discuss with their mentors how their junior companies can really take shape in the real world. They will discuss issues related to scalability, acquisition and market growth. The program aims at preparing students for a seminar organized by INJAZ Al-Maghrib and Attijari Finance Corp that brings together investors, incubators and all the actors of the entrepreneurial ecosystem. The teams will present their project and will have all the tools necessary to integrate an incubator, continue their training or receive funding from investors wishing to take part in their project.